If it seems like athletes today make more money, it's because they do. NEW YORK (TheStreet) -- If it seems like athletes today make more money, it's because they do. In 1961, Mickey Mantle became the highest paid player in baseball when he signed a $75,000 contract with the New York Yankees. Calculated to inflation, that would be about $600,000 today. In 2015, the average Major League Baseball salary surpassed the $4 million mark. The league's highest-paid athletes -- pitchers Jon Lester and Clayton Kershaw -- are earning $30 million salaries each. "It's because of the rise of modern free agency," said Mark Conrad, director of the sports business program at the Fordham University Gabelli School of Business. "Free agency did not exist as we know it in team sports until the 1970s. Before that, players were restricted significantly from signing with other teams." According to data from Sporting Intelligence, NBA players make an average $4.6 million, NHL players $2.6 million, and NFL players $2.1 million. And, of course, some athletes make much, much more. Kobe Bryant will earn $25 million for the 2015-2016 NBA season -- his last with the Los Angeles Lakers. Green Bay Packers quarterback Aaron Rodgers will earn $22 million in the upcoming NFL season. Nashville Predators defender Shea Weber earned a $14 million salary in the 2014-2015 NHL season, and Pittsburgh Penguins center Sidney Crosby earned $12 million. International soccer stars Cristiano Ronaldo and Lionel Messi have brought in upwards of $50 million in salary and winnings over the past year. Team sports aren't the only ones where athletes are making bank. Individual competitions like boxing, tennis and golf are incredibly lucrative as well. Boxing's Floyd Mayweather recently shattered golfer Tiger Woods' record for highest athlete annual earnings. Athlete salaries and competition earnings, by and large, account for most of their income. However, many make enormous amounts of money on endorsements as well. "If a player is good for Madison Avenue, they will make money on endorsements," said Michael Colangelo, assistant director of the USC Sports Business Institute. "Players such as LeBron [James], Tiger Woods, Peyton Manning, etc., do make most of their money outside of the sport they play, but that is due to the fame and endorsement deals they have garnered." And it isn't always the best players who make the most on commercial deals. "Endorsements are a little bit different. You need the personality, the person, to sell, along with the success," Conrad said. He pointed to women's tennis stars Anna Kournikova and Maria Sharapova, who have at times been the sport's highest earners even when they were not the best performers. So which athletes are making the most? Here is a look at the 10 highest-paid athletes since the turn of the century. They ranked by annual earnings as listed by Forbes, which makes its calculations each year in June. Boxer Floyd Mayweather, Jr. smashed Tiger Woods' record as the highest-earning athlete in a single year in 2015. From June 2014 to June 2015, Forbes estimates he brought in $300 million. Mayweather's May 2 boxing match against Manny Pacquiao generated an estimated (and record-breaking) $600 million, including 4.4 million pay-per-view buys adding up to over $400 million in revenue. As for Mayweather, he brought in more than $200 million for the evening. 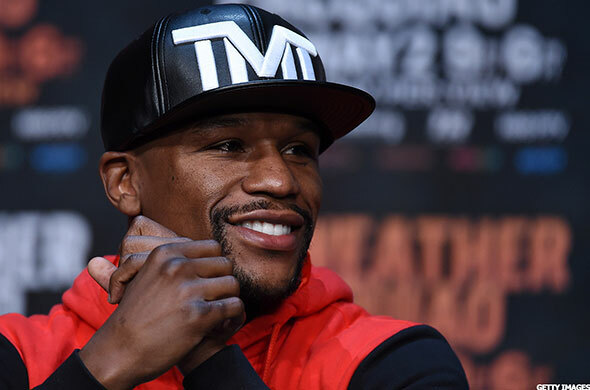 "Floyd Mayweather just pulled off the biggest score in the history of sports and entertainment," said Leonard Ellerbe, the head of Mayweather Promotions, to Forbes. The large majority of Mayweather's earnings come from salary and earnings rather than endorsements. However, ahead of the Pacquiao fight, he signed deals with Burger King, FanDuel and Hublot estimated to be worth about $1 million each. Mayweather, who is undefeated, has said he plans to retire later this year after a match with Andre Berto in September. He may have lost in the boxing ring against Mayweather, but in the bank, Pacquiao scored a major victory. Mayweather and Pacquiao split the fight's net revenues 60-40, meaning a major payday for the Filipino boxer as well. 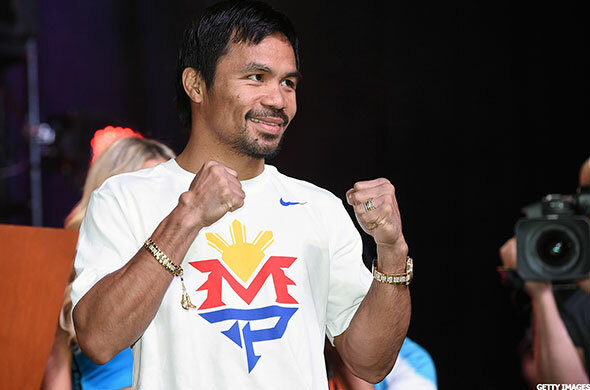 Pacquiao earned a total $160 million from June 2014 to June 2015. Pacquiao's interests stretch beyond boxing, and he appears to be an avid basketball fan as well. He plans to travel to Japan in August to aid the Philippines' bid against China to host the 2019 basketball World Cup. With no Mayweather rematch in sight, Pacquiao may instead soon be facing a different opponent: Amir Khan. The British boxer said in a recent interview that he thinks a fight with Pacquiao in Dubai "could be massive." The year 2008 was a great one for golf sensation Tiger Woods. Not only did his $115 million earnings smash records, but he also made enormous strides both on and off the golf course. He won the U.S. open just months after undergoing knee surgery, signed endorsement deals with companies like Nike (NKE - Get Report) , Accenture (ACN - Get Report) and Gillette, and was ranked by Forbes as the second most powerful celebrity -- right behind Oprah. The tides turned quickly in the subsequent years. Woods was embroiled in scandal after admitting to infidelity and walked away from the game of golf for a handful of months in 2009 and 2010. He has regained footing since, though at times his game has suffered. Still, it's not bad to be Tiger Woods -- he made Forbes 2015 highest-paid athlete ranking as well, bringing in $50.6 million. German racecar driver Michael Schumacher earned $80 million from June 2003 to June 2004. 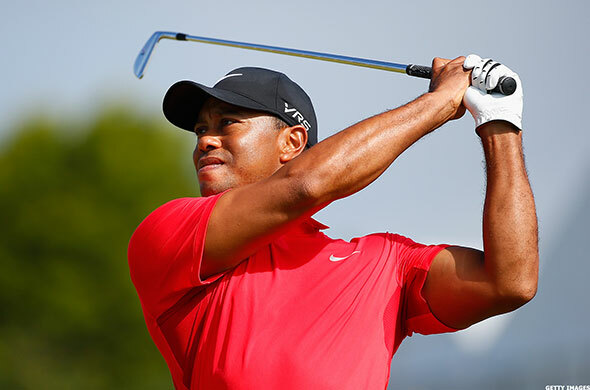 He ranked just behind Woods in the year's highest-earning athlete rankings, but the number still pushes him high up on the list of the top-paid sports stars of the 21st century. In 2004 alone, his salary from Ferrari approached $40 million. The seven-time Formula One Champion retired in 2006 but returned for another short stint, this time driving for Mercedes-Benz, from 2010 to 2012. 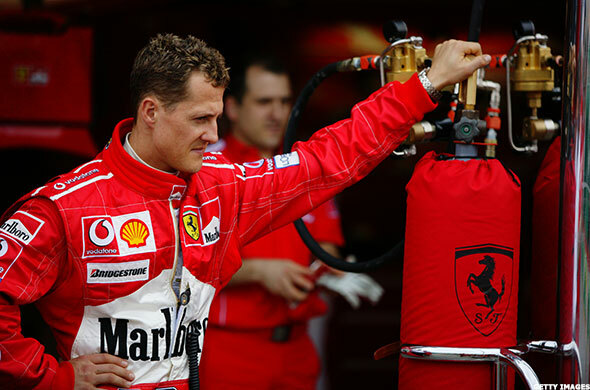 In 2013, Schumacher suffered a serious head injury while skiing and was subsequently in a coma for months. His recovery continues. Cristiano Ronaldo was the second highest paid athlete of 2014, bringing in $80 million for the year leading up to June 2014. Originally from Portugal, Ronaldo plays for Spanish soccer powerhouse Real Madrid as well as the Portuguese national team. He has been awarded the Ballon d'Or, soccer's top individual prize, on three occasions. He scored 61 goals in 2014 and 69 in 2013, the same year he signed a new five-year, multi-million-dollar contract with Real Madrid. Ronaldo's salary is impressive, as are his endorsement deals with companies like Nike, Tag Heuer and Toyota (TM - Get Report) . In 2014, he made an estimated $28 million in endorsements. He also has his own fashion line, CR7, which makes footwear and underwear. From June 2014 to June 2015, soccer star Lionel Messi earned $73.8 million, including a $51.8 million salary and $22 million in endorsements. In 2014, he signed yet another contract with Barcelona, bringing his pay to more than $50 million annually through 2018. 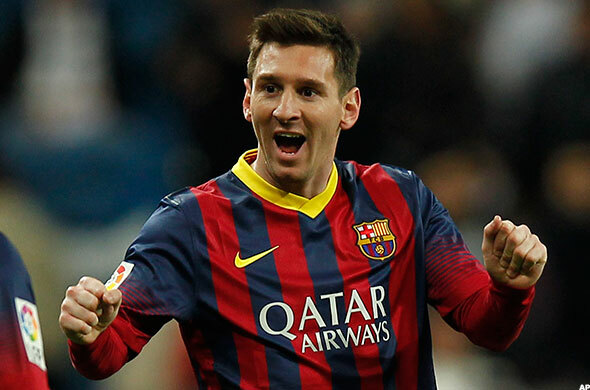 A four-time Ballon d'Or winner, Messi earned soccer's top prize in 2009, 2010, 2011 and 2012. And according to his Barcelona teammate, Neymar da Silva Santos Júnior of Brazil, Messi is on track to earn the award in 2015 as well. The Argentine native holds a number of world records -- he is the top scorer in one season of official matches and top goal scorer in a calendar year. He is also the only player to win the Ballon d'Or, FIFA World Player, Pichichi and Golden Shoe in the same season. His sponsors include Adidas (ADDYY and PepsiCo (PEP - Get Report) . LeBron James earned $72.3 million in the year leading up to June 2014. He has competed in four consecutive NBA finals, has won two championships, and has received four NBA most valuable player awards and two NBA finals MVP awards as well as a pair of Olympic gold medals. He currently plays for the Cleveland Cavaliers, though he played for the Miami Heat from 2010 to 2014. James' off-the-court earnings dwarf his on-the-court earnings, due in large part to salary restrictions put in place by the NBA. 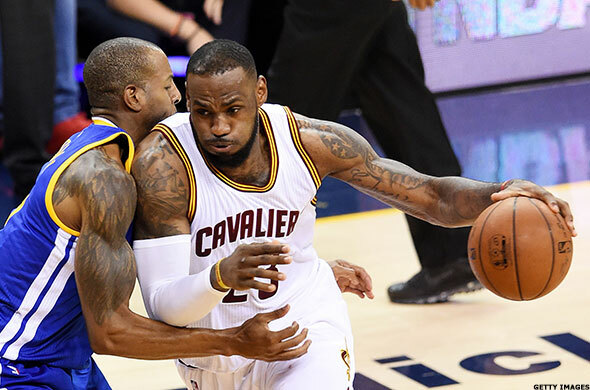 "LeBron may be worth upwards of $45 million per season, but there is a limit to how much the Cavaliers can pay him," said Colangelo. In the 2013-2014 NBA season, for example, James was paid just over $19 million by the Miami Heat. But he made $53 million in endorsements thanks to deals with McDonald's (MCD - Get Report) , Coca-Cola (KO - Get Report) and others. 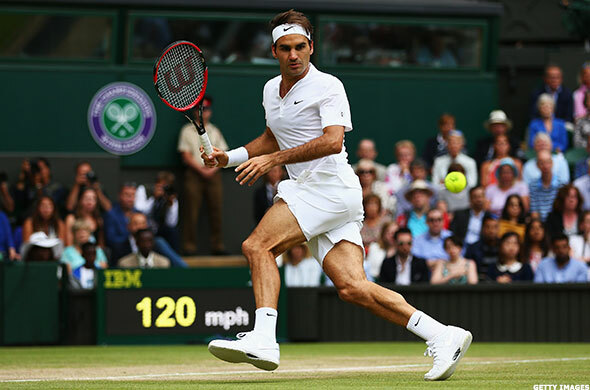 Roger Federer earned $71.5 million from June 2012 to June 2013, and the Swiss tennis player continues to be one of the world's highest-paid athletes today. He has won 17 grand slam titles in his career, eight doubles titles and two Olympic medals and spent a total of 302 weeks ranked at number one by the Association of Tennis Professionals (ATP). Like James, Federer's bank account expansion is much more a result of endorsement deals than it is from winnings and on-the-court pay. And the list of his sponsors is impressive, including Mercedes-Benz, Credit Suisse and Rolex. 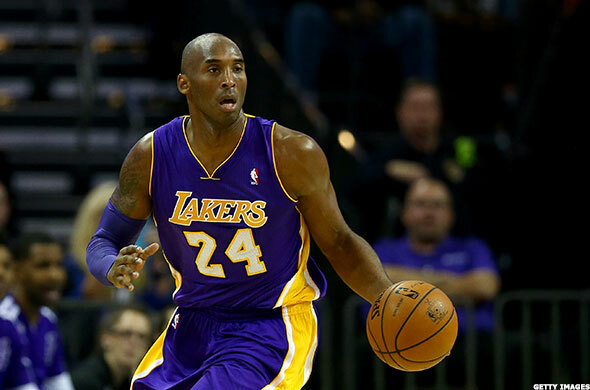 Kobe Bryant earned $61.9 million the year leading up to June 2013. L.A. Lakers guard has been the top-paid NBA player since the 2009-2010 season, and in the 2012-2013 season, he earned a salary of $30.5 million. Bryant has played for the Lakers his entire career. He has won five NBA championships, led the league in scoring twice and has two Olympic gold medals. He is expected to leave the Lakers after the 2015-2016 NBA season. The basketball player has endorsement deals with companies like Nike, Lenovo and Panini, but his business prowess appears to stretch far beyond sponsors. In 2014, Bryant revealed in an interview with ESPN that he had formed his own company, Kobe Inc., and made his first investment in sports drink company BODYARMOR. "We want to own and help grow brands and ideas that challenge and redefine the sports industry while inspiring," he said. Kevin Durant made $54.2 million from June 2014 to June 2015, including a $19.1 million salary and $35 million in endorsements. A four-time NBA scoring champ, Durant won his first MVP trophy in 2014 and has an Olympic gold medal. He suffered a foot injury in the 2014-2015 season, limiting his play to just 27 games, and is prepping to come back strong in 2015-2016. "I'm juiced," he said in an interview with NBA.com, "I can't wait to play basketball again." In the upcoming NBA season, Durant will earn a $20.2 million salary form the Oklahoma City Thunder. It is the last year of his contract with the team, meaning in 2016 he will become a free agent and could go to another team. 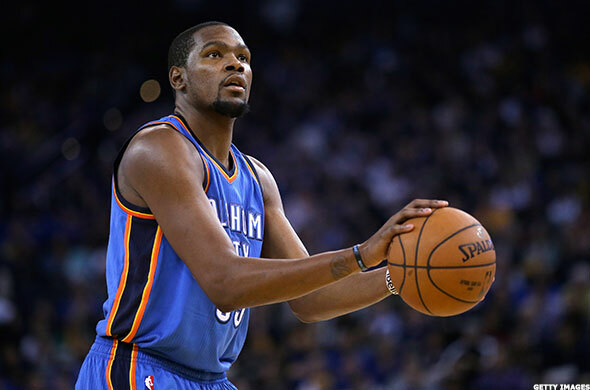 In 2014, Durant signed a 10-year deal with Nike that could be worth up to $300 million. He also has deals with BBVA (BBVA and Sprint (S - Get Report) .